Will There be an Electric Grid Blackout on November 13th and 14th, 2013? By Paul LaViolette | September 10, 2013 - 8:39 pm | November 10, 2013 News! September 16th update of the news item on the upcoming electric grid test which was originally posted here on September 11, 2013. Based on an August 16th New York Times article, it appears that this November 13th/14th drill will not involve a shut down of the electrical grid. Checking out the NERC website, one finds that this is an expanded version of a Grid drill that they had previously conducted in November 2011. Apparently, there is a lot of misinformation that was posted about this on the internet that was not previously checked out. So disregard concerns voiced in my original posting that this exercise will involve a planned blackout and speculations that its dates may have been chosen to prepare for a real event. I have used strikethroughs to indicate material to disregard in my previously revised posting below. Although there are many who do not trust public statements from government agencies and feel we should nevertheless prepare ourselves for unexpected events (see comments at the end of this posting). It is really difficult to tell from these news postings because both ideas are being circulated. This confusion may be due to people lacking a clear official statement of what is planned for these days. I have been unable to check this out with any U.S. electric utilities since I am currently in Europe. But one viewer strongly feels that this is just a test simulation and not an actual power black out (see reader comments below). As I have warned in previous publications and outreach projects, a galactic superwave would deliver a strong EMP pulse at the time of its arrival, possibly threatening the electric grid, GPS satellites, and cellular telephone systems. One way to protect the electric grid would be to shut it down during the time of superwave arrival. If it is just a simulation with no power black out being planned, then this becomes a non issue. 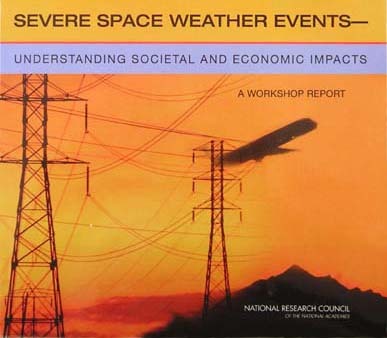 To learn more about the electric grid vulnerabilities from severe space events, you may be interested to read this report from a National Research Council workshop held in May 2008: http://www.nap.edu/catalog.php?record_id=12507. Also here is advice on disaster preparation which former NASA director Charles Bolden made to his NASA employees in 2011: http://www.youtube.com/watch?v=ECzjhSDD_kM. http://starburstfound.org/independent-confirmation-arrival-minor-superwave-event-774-ad/ This evidence indicates that we are currently overdue for another event. Hopefully we will have more information in the next week as to whether the November 13th/14th event will be just a procedure simulation or an actual grid shut down. Anyone who has obtained official information about this from their local electric utility or Homeland Security office, please comment. 25 Responses to Will There be an Electric Grid Blackout on November 13th and 14th, 2013? Finally some honesty, thanks for clearing this up for me, I suspected it was BS. In trying to clear confusion about the Grid Ex 11 exercises for our area in southwest OHIO, I called my electric company Dayton Power and Light to discuss their plans to interrupt service or cause our power grid to go down. Systems Engineers there had not heard about Grid Ex 11 and do not have any plans to interrupt power to our area. SInce they are not participating in this National Level exercise they made it clear that our power would remain on during the November 13 & 14 exercises. People should not believe their power will be cut off either because for one thing Power Companies do try to notify businesses and hospitals for any anticipated interruption in their power supply ahead of the event. Such as in the case of new Construction where bringing power online to a new Industry might require a temporary outage. All the reading I have done on this exercise leads me to believe that only certain Power Companies are participating and the results of their testing will be used to know where their vulnerabilities would be in the case of a simulated test they perform during the exercises. I suggest people quit worrying about this notion Grid Ex 11 National exercise as being designed for shutting down the whole power supply in the USA. It only involves for them to do this random testing of certain participating groups who then review their data gained to help understand how to better remain online the grid in the event of a disruption that prevents distribution of electricity over their system. As always being prepared and encouraging others to be prepared in emergencies is always advisable. So it is good we can exchange ideas and thoughts on this matter in a concerned responsible way without creating undue panic or confusion. Thanks to those posting here. I really enjoyed reading the comments left by others. Thank you for your input investigating this matter. In relation to comet ISON and Mercury, I seem to recall a crop circle in UK, which showed the Sun occupying Mercury’s orbit and no sign of Mercury? The event dating for the crop circle was estimated as 2013/14. Could this be relevant to the Nov 13/14 events? You are referring to the Avebury Manor crop circle laid. Towards the end of a lecture presentation I did in 2010 on the topic of receipt of an extraterrestrial message on the superwave, I explain how this crop circle with the “expanded Sun” encodes a date of 2035 AD. The video of the lecture presentation can be downloaded here: http://etheric.com/intelligent-communication-from-the-galaxy/. So it seems we must wait another 24 years for whatever this crop circle is referring to. sounds like the “hijacker drills” that NORAD was playing on Sept 11, 2011. if you read the testimonies to the 911 commission, the director, Eberhart, admitted to Congress that NORAD had control of the entire US/Canada skies at the exact time of the alleged attacks. So, government officials don’t always reveal the truth until they are forced to. .
Why would the government official tell the truth and cause a panic he would be responsible for, that would mean he would be in trouble and we all know most are in it for themselves. who knows it could happen or it couldn’t but i wont rely on what this guy is saying and he basically just worded it differently, still is going to happen from what i took from it but is not going to be a real power outage just a simulated one. whats the difference! I suggest we should all make a conscience effort to think twice about any information given to us by our government. maybe a way to think of it can be compared to finding one flea on a dog. for every one that you see, there’s 100 you don’t. does that make sense at all? Basically for every statement made, there’s 100 being hidden. I think we all need to be prepared for any disaster, man made or natural, I wouldn’t put anything past our politicians at this point. keep it simple water, food, gas, weapons, and so on and so. good luck and God bless. Get involved with friends and neighbors and have a back up plan for your back up plan. I am surprised Dr. P just takes the word of NERC at face value. The authorities are engaged in rampant disinformation. There was just a “drill” on commerical jet airliners flying into skyscrapers” on 9/11. Remember? These “tests” are cover stories and misdirection. War is the art of deception. The US govt is at war with its citizens. That is why all the public law enforcement has been militarized and command has been placed upon them by the Stazi/DHS (same thing). That is why DHS ordered 1.5 billion rounds of ammunition for use on domestic soil by civilian law enforcement. Armed to the teeth and “testing” continues for: ______you fill in the blank for yourself. You may be right. The government does not have a very good track record when it comes to trusting what they say. I decided to trust what this NERC official said, but one never knows. It is best to be prepared anyway. There are several, if not all, militias being trained on this event. They have already started Home Land Security training in some larger areas. The training starts in Sept for some and includes the Coast Guard. The Space Surveilance System is shutting down Oct. 1. (Fact). All I know after that is that on 911, there was an airline terrorist drill being conducted in NY and at the Boston Marathon there was a bomb drill going on. So, go figure, maybe this is a false flag and maybe not. They don’t want a panic but want to be prepared??? I was not aware of this. The pattern certainly looks worrying. I have heard that if you go to The New York Times and look it up (sorry I don’t have the link) that it will be done with 150 volunteered business centers and U.S. government buildings, which if is the case seems awfully small for checking the grid. I don’t have the names of which companies are volunteered to shut down. Most of the “grid down” was to be in the eastern half of the USA. I followed up “Friendly Fire’s” lead about the New York Times article. See update at top of posting. He discusses the astronomical fact that the Comet ISON will be closest to the sun AND in direct alignment with the planet Mercury (sun, comet, & planet all in a straight line) on NOVEMBER 14 ! !, and this situation makes it likely for strong ELECTRICAL discharges from the Sun through the plasma to the planet Mercury during this alignment. He connects this “known in advance” Sun/Comet/Electrical Discharge Event with the North American Power Outage Drill on the SAME DAY as a possible FALSE FLAG POWER OUTAGE to cover for a Controlled Bank Collapse by the “elite”. He discusses this in some detail. This Podcast is worth listening to. I doubt very much McCanney’s belief that an alignment of a comet with the Sun and Mercury will produce electrical discharges from the Sun. Usually comets have to fall into the Sun to produce any kind of solar activity. Actually James McCanney speaks about ‘action at a distance’ whereby a comet does not need to dive into the sun to cause it to react as was evident when a small comet excited the sun at a distance in September. I don’t find McCanney’s theory convincing. He would need to show evidence that previous close passes of comets (e.g., within the orbit of Mercury) that didn’t impact the Sun triggered an increase of solar flare activity near their pericenter. I think that his statements on this are more an effort to sell his new book on this comet. curious that IF it is a drill, it was scheduled for winter. I beleive more people are vulnerale in North to cold than to heat. so, does not fit that it is a drill. Also to consider: Major Ed Dames said on “Coast to Coast” several months ago that he expects the power grid to out this year and has planned two private seminars outlining to people where, geographically, it is safe to be. it is NOT an ELECTRIC GRID BLACKOUT that’s planned. there are NO PLANS actually to SHUTDOWN the GRID. am i the only one who notices this distinction?! sheesh.